Babies and toddlers will love Sophie la girafe®: Hide and Seek, full of fun Sophie the Giraffe flaps with easy-grip tabs, perfect for little hands to hold. Is Sophie behind the bedroom curtain? Or is she behind the flowers? Little ones can play hide and seek with Sophie, lifting the flaps to search for their favourite giraffe friend, perhaps finding a surprise instead! 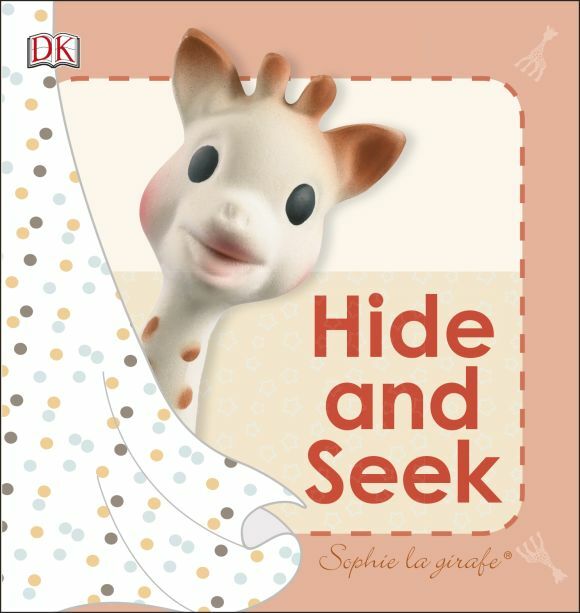 Babies and toddlers will love grasping the tabs, lifting the flaps and turning the pages in Sophie la girafe® : Hide and Seek; encouraging early learning including memory and imagination skills. This gorgeous board book is an ideal gift for little ones who love Sophie the Giraffe.